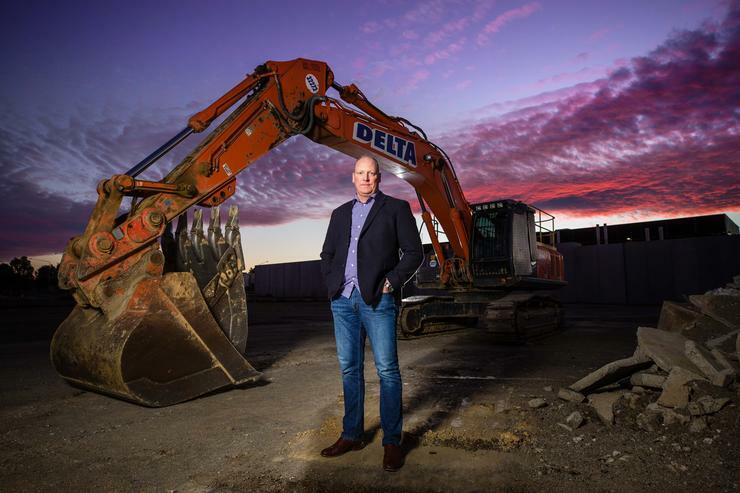 Canberra Data Centres (CDC) has announced plans to build its fifth data centre to be located in Fyshwick, Australian Capital Territory, with an investment of approximately $150 million. Fyshwick 2 will generate 20 megawatts and it will sit on approximately 20,000 square metres area, making this CDC’s largest data centre to date. CDC did not give a specific date but expects the new facility to be live sometime in 2018. CDC currently operates three data centres in Hume and one in Fyshwick. Hume’s facilities, which include Hume 1 – 1500 square metres -, Hume 2 – 2000 square metres – and Hume 3, are capable of delivering 21 megawatts of capacity. Fyshwick 1, which sits on a 5000 square metre area, generates 18 megawatts of capacity. The new facility takes CDC’s investment in the ACT to more than $500 million over 10 years, according to the company. CDC chief executive officer, Greg Boorer, said that Fyshwick 2 would represent a further evolution of CDC’s unique data centre design with the latest security, more efficient outcomes, smaller and larger more powerful secure footprints and an ability to accommodate heavier floorloading. The construction phase will generate 100 jobs and approximately 12 skilled personnel will be hired to run the new facility. The facility is designed to handle data classifications up to Top Secret, and will also offer clients access to on-site Top Secret office space. Fyshwick 2 is security zoned 4 and 5, and is designed as a Tier 3 facility with Tier 4 electrical configuration under the TIA global standards. Air cooled and deploying a closed loop water system, Fyshwick 2 is being designed to be highly sustainable with a PUE of 1.2 or lower which is globally significant given no water is used in the cooling process. Resilience is assured with power sourced via two grid connections and two generator farms. These generators will be able to support the community if needed. Back in February, when heat waves hit Canberra, CDC handed back enough power to keep the lights on in up to 30,000 Canberra homes, as electricity and natural gas provider ActewAGL was concerned about a supply shortfall. CDC delivers data centre services to more than 40 Federal Government departments and agencies as well as the ACT Government, connected by the ICON fibre optic network. “The addition of Fyshwick 2 – slated to come on stream in 2018 – will ensure enough capacity for two to three years’ growth in the market we operate in, both meeting the needs of our direct clients, and also those Government agencies and departments that will use Microsoft Azure delivered out of our data centres,” Boorer said. Earlier this month, it announced a partnership with Microsoft to deliver the Microsoft Azure cloud platform from two highly-secure Azure regions in Canberra. According to Boorer, CDC has 30 per cent spare physical footprint and significant reserve power capacity to serve current clients and prospects; Fyshwick 2 is being developed to ensure CDC is able to meet the runway of demand anticipated for Canberra based Azure services and other customers, as well as continued demand from the public sector and other ecosystem partners. “Co-locating Microsoft Azure alongside the primary data resources of Australian government is intended to spur the opportunity for government to modernise and augment existing systems,” Microsoft head of global infrastructure, Microsoft Azure, Tom Keane, said. The Commonwealth Government entity, Commonwealth Superannuation Corporation, holds a 48 per cent stake of CDC on behalf of Australian Government employee and Australian Defence Force superannuation fund members. CDC’s long-term management team owns 4 per cent of the organisation and the balance of ownership sits with New Zealand-based Infratil, which invests in long term infrastructure assets.